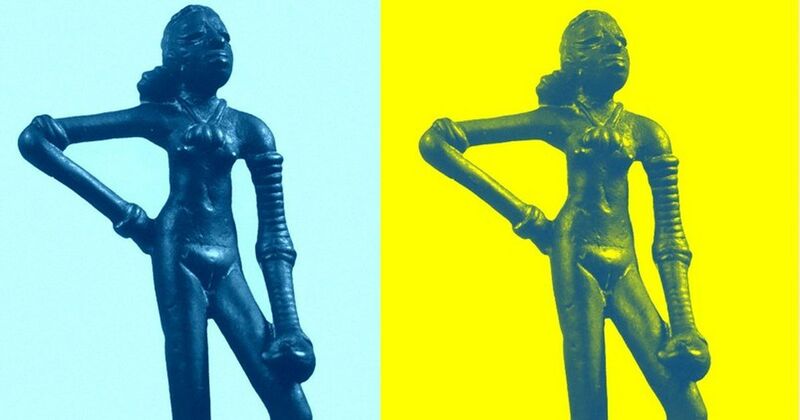 David Reich and Tony Joseph both delve into the controversies around ancient DNA and what it tells Indians about their ancestry. From a utilitarian and evolutionary standpoint, most of the money, time and effort we put into studying modern science seems to make sense. It is possible to see scientific inquiry as a natural extension of our desire to use tools, to make our lives easier, to manipulate the world around us. It may be this that distinguishes us from other animals, our ability to constantly add complexity to the tools with which we understand and alter the world around us. But what about history? Why look back? What can we learn from the ancient world, or our prehistoric past? Why spend tremendous amounts of money to crush ancient bones and extract DNA in an attempt to read the stories told by the genes that they contain? The question shows up in the very introduction to geneticist David Reich’s book, Who We Are And How We Got Here, published earlier this year. Reich, at first, answers by pointing to medical science. Only if we understand ancient human populations can we understand the risk factors for disease, he writes. In India the question might have a different answer altogether, a much more politically charged one. Reich’s book, and Tony Joseph’s newly-published Early Indians, both document a revolution in genetic science. Improvements in technology over the last decade have made it possible for scientists to understand the ancestries of humans who lived many millennia ago. Ancient history, once a discipline dominated by archaeologists who relied on material like pottery and stone tools, is now being upended by geneticists who have access to a completely different historical source material: human genes. Suddenly, scientists are able to answer – or at least more definitively add evidence to – theories of where people come from and whom they mixed with. Indeed, across South Asia, this question of origin is an almost existential one. The politically dominant Hindu Right believes that the people who wrote the Vedas are the original inhabitants of the subcontinent. In this view, the Sanskrit-Vedic culture is native, indigenous. And that means there cannot have been a before. Yet, for decades now, it has seemed likely that the subcontinent did play host to a set of people with a flourishing, complex society and well-organised cities who may have had nothing to do with the Vedic culture that defines the worldview of much of North India. For most who grew up over the last few decades, these people were known as Harappans, after the area in Pakistan where the first site from this period, around five thousand years ago, was excavated. Today we know it as the Indus Valley Civilisation, since many of the sites occur around that river, although some have been discovered as far south as Maharashtra. Indus Valley sites offer the oldest evidence of proper civilisation in the subcontinent. They may even have sustained, at one point, as many as 5 million inhabitants. And crucially, they seem to have almost no connection to the complex Vedic culture that is now predominant in the same area. But the Hindu Right insists they are one and the same. An Indus Valley site in Haryana could change all of that. Excavations at Rakhigarhi in Haryana have offered up the most reliable ancient DNA from an Indus Valley site, and scientists are soon going to decipher the stories hidden in this material. Reich, in a fascinating chapter on India, and Joseph, throughout his book, tell the story of how science has brought us to this pivotal moment. A sneak preview of the Rakhigarhi findings came earlier this year, in a massive study that Reich himself co-directed, which found that some sort of “Aryan migration” did indeed take place. Simply put, the ancient DNA suggests that the “Harappans” themselves were the result of mixing between “native” South Asians and Iranian farmers. Then, around the second millennium BCE, there was a huge influx of men from the Eurasian steppe, the vast grasslands north of Afghanistan, to such an extent that their DNA now occurs in almost all South Asians. If this study and the data expected from Rakhigarhi holds up to peer review, it would add to the evidence that South Asia’s Sanskrit-Vedic culture might have much to do with these Steppe people, who also took their language to Europe. Centuries later, that would cause early Indologists to notice the striking similarities between Sanskrit and their own languages, sparking off the very line of inquiry that has brought us to this conclusion today. But the disappointment of the right wing is hardly the only interesting thing likely to come out of the ancient DNA revolution. Joseph examines the impact on our understanding of Indian culture, looking at how the Aryan migration may have changed moral attitudes, and adding genetic evidence to the linguistic theory that the inhabitants of the Indus Valley culture may have spoken a form of proto-Dravidian, which forms the basis of South Indian languages. Both books also look at the question of caste. Reich actually offers a startling statistic, one that calls to mind physical barriers like the giant walls Prayaag Akbar puts between Indian castes and communities in his dystopian novel Leila. The research can identify “bottlenecks” in genetic data, recognising when relatively small numbers of people have many descendants who then do not intermix with those around them due to social or geographical barriers. He gives the example of the Vyasyas, a caste from Andhra Pradesh of five million people, whose bottleneck the researchers could identify to between three thousand and two thousand years ago. Joseph’s Early Indians build from this genetic data and connects it to research on ancient India as well as Sanskrit texts that might together paint a picture of how Brahminical caste-societies came to dominate much of the subcontinent. “The caste system in India is NOT co-terminus with the arrivals of the ‘Aryans’ in the subcontinent,” Joseph writes, pointing out that genetics suggests much mixing between groups until well after the migration. Instead, he puts forward the theory that it may instead have come about as the massive Mauryan empire was coming to end in the closing centuries of the 1st millennium BCE, with the caveat that much research still needs to be done to prove this. Despite the controversial revelations littered throughout the books, both authors seek to comfort and reassure. Joseph constantly reminds us how even proof of an Aryan migration would hardly undercut the uniqueness and vitality of Indian culture, which has always been the product of mixing – using a pizza as a metaphor to explain the break-up of subcontinental society. Reich’s book offers a fascinating bird’s eye view of how this research is being received the world over. Among the most interesting portions is the difficulty American scientists, generally white, have had in using the ancient DNA that belongs to Native Americans, who are understandably suspicious of the motives of those seeking to do the research. Reich writes of hopes that the consequences of the genome revolution will help Native Americans connect to their roots and each other, but recognises the controversy such efforts have and will continue to provoke, as they do in India. Other concerns turn up in Africa, which despite being the source of all human populations, is criminally under-studied or in big-picture questions like using genomic studies to understanding inequality between sexes or what we now know about “race”.